Steve Jobs and Apple applied the same formula seven years later with the Mac, and twenty some years later with the iPod and iTunes. Steve Jobs was in the business of creating experiences. It was a misunderstanding to categorize him as simply a technology entrepreneur. For sure, he was a tech geek. Perhaps the first cool geek to ever roam the earth. He was, however; more concerned with experiences rather than being enthralled with functionality sets. He knew experiences were first and foremost visceral in nature. 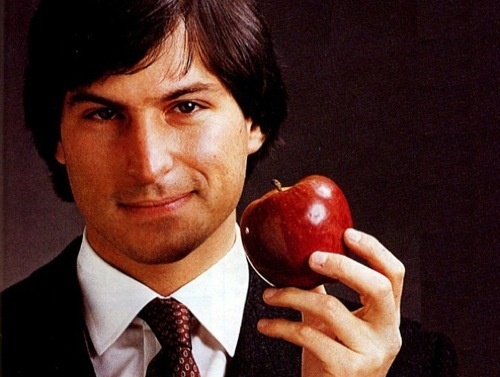 He famously said that Apple products were a merger of art and science. I think that pretty much sums it up in a language anyone can understand. Today we may see it as almost common sense to view technology his way. Though, there was a time when his views were considered almost “cute”. Fine for a few aficionados and creative types, but not really applicable to the real world of business. The cold hard fact was that technology belonged to business. Or so we thought. What mattered was functionality and how many features you had. Engineering, numbers and strict usability were the values to adhere to. We can now say his views have been fully vindicated by the marketplace. That final arbiter of all arguments. And, what a wonderful thing. Look at Apple today and think of how the naysayers pronounced it dead-in-the-water only fifteen years ago. What a ride it has been. And, I might add, what a victory for all the lovers of human-centered products and good design. As a UX practitioner, I feel it’s crucial that we not let ourselves be directed by the “science” of it. In other words, the usability metrics, the research, and even ergonomics (that human side of engineering that doesn’t quite cut it all the way). All of this stuff is important, but used on its own fails at creating extraordinary experiences, because it will always lack that human spark. You can’t fool people into loving stuff that is purely the product of an engineering process. One must inject a good dose of inspired intuition and playfulness or emotion. To all of us in the business of developing software or other digital media, let’s pay homage to Steve Jobs in our own way. Let’s continue to immerse ourselves in the philosophy that he espoused and continue to push forward to design products that are not just user-centric but that also have a human face. Steve Jobs was one of the historical representatives of the notion that the human spirit always prevails. We’ve had a few in other fields. Not too many in technology and definitely no one else like him. Let’s say thanks to that! Steve Jobs found a way to masterfully respond to the fact that, no matter how complex our tools become, we, being human, will always strive to bring those back into our hands and minds and make them work at our level. Because ultimately, we want to relate to them and like them. We want to enjoy using them. Steve Jobs keenly understood the basic nature of human desire and created a technology brand around it. I hope his legacy lives on for a very long time continuing to bring us experiences that enhance our lives.